Silver Doctor: Physical Silver Shortage Developing? 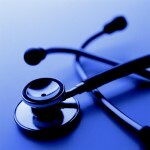 - Wall St. for Main St.Wall St. for Main St.
Silver Doctor: Physical Silver Shortage Developing? Jason Burack of Wall St for Main St had on returning guest “Doc” from Silver Doctors http://www.silverdoctors.com/ to talk about his article about a potential wholesale silver shortage. Here’s the link to his article: http://www.silverdoctors.com/wholesal… so you can come to your own conclusions. During this 25+ minute interview, Jason asks the Doctor about the journey of silver and gold from the mine site to bars and coins at the bullion dealer. Then, they discuss Doc’s controversial article about a potential shortage. Doc thinks through his sources there’s evidence of a developing shortage. He thinks sentiment levels for precious metals are much worse than 2008. Jason and Doc discuss whether silver can ever be in a shortage and also discuss the supply/demand fundamentals of physical metal instead of the paper price.